Social media presents tons of different opportunities for your brand to get creative with different types of campaigns. No matter what platforms your brand uses, you can come up with promotion and marketing ideas to appeal to your target audience. 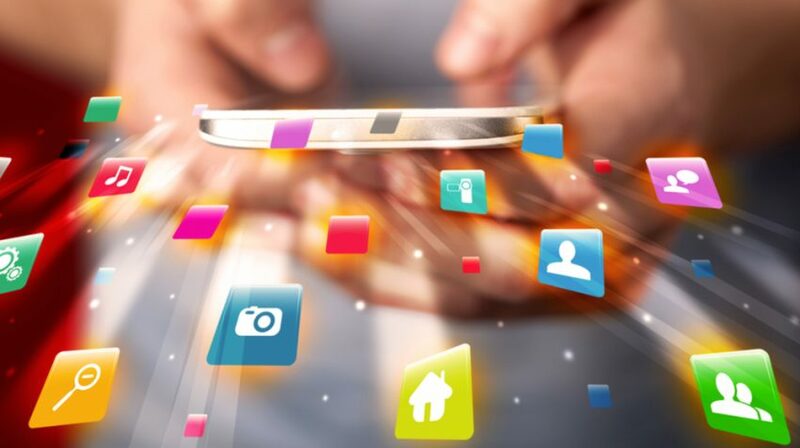 Here are 25 different social media campaign ideas for your small business to try. The thought of getting their social posts featured in commercials or other advertising materials could potentially encourage people to share more of their experiences with your company. Dunkin Donuts uses content from the #MyDunkin hashtag in some of its promotional materials to share social proof and encourage customers to share online. If you want to encourage your social media followers to actually make purchases, you could offer digital coupons that they can download right from your Facebook page or pull up from other sites on their phones and use in stores. 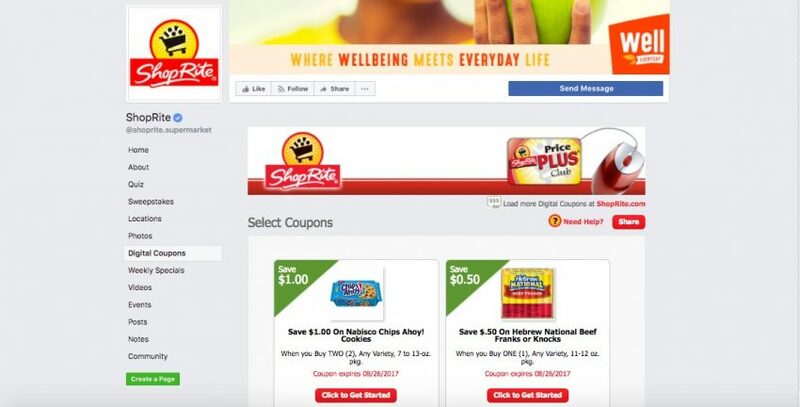 ShopRite has a whole digital coupons tab on its Facebook page. But you could share some sporadically as well. Sharing photos from your customers on social media is another great way to encourage sharing and engagement. And it can be even more effective if you show really unique visuals and creations from your customers. Michael’s does this regularly with craft projects and customized products that customers make using products from their stores. Photo contests can be a great way to get your customers involved with your social accounts. Just choose a platform that allows photos and outline a way for customers to submit photos of them using your products or otherwise supporting your business. This can be through a hashtag on sites like Instagram and Twitter or albums on Facebook. Dove has made use of this strategy with its Real Beauty Should Be Shared contest, and ongoing Real Beauty campaign. Get more visibility for your content by creating a call to action that encourages followers to tag friends in the comments or share your post with friends. Women & Whiskies does this on Instagram by encouraging followers to tag scotch lovers in this post. You can also create a hashtag that is meant for customers to share testimonials. You can then repost or use that content in other promotions. The White House used this strategy when promoting the health care marketplace in its #GetCovered campaign a few years ago. You can also create hashtags more to encourage a sense of community among your customers. For example, the #SimpleStart hashtag from Weight Watchers serves as a way for customers to share their goals and stories. But it also makes it easier for them to interact with the brand and other Weight Watchers customers. Or you can create your own set of hashtags that you can use each week to share content that’s unique to your brand. For instance #treehousetuesdays might not be relevant to tons of brands. But it is something that helps to set Airbnb apart from other lodging companies. On Facebook, you can easily use the new reactions feature to encourage engagement with followers. You can post a question or stance on something and ask customers to share their input through reactions. You can even do this on other sites like Twitter, to a lesser extent, by asking customers to respond with emojis or other quick reactions. Sofia Vergara used this tactic to have followers vote on their favorite award show looks. Giveaways are popular on social media. And they can be even more popular if you get partners involved to expand your audience. Goop has done this in the past by partnering with travel companies to offer trips as prizes. You can also host giveaways or promotions that have a charitable twist. 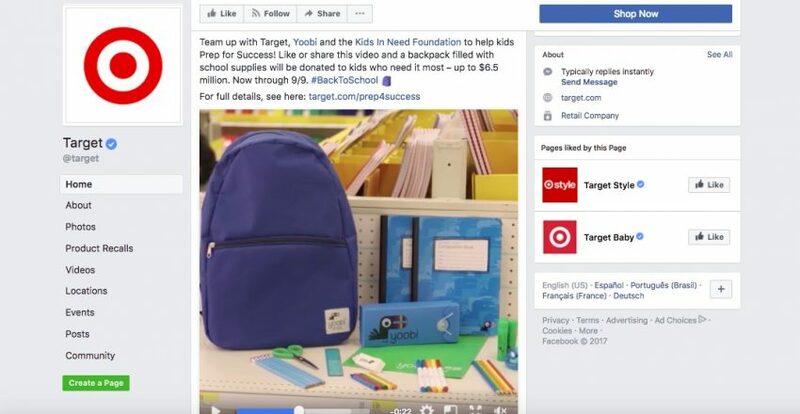 This example from Target features a giveaway for back to school that also promotes an initiative to help kids in need. Chats on social media can help you get followers engaged in real conversations. Twitter chats like #LinkedInChat can be especially popular. But you can also host chats in comment threads or livestreams on other platforms. The beauty of social media is the ability to share information in real time. So you can reward your most engaged followers by offering quick discounts in real time. ASOS does this on its Facebook page occasionally, even changing its cover photo to alert followers. Using livestreaming features or just a text chat format, you can host a q&a session where followers can ask you questions about your business in real time. On a number of different platforms, you can create polls to get your followers involved and collect valuable insights, like this PlayStation podcast account did. Partner with popular influencers in your industry to create content to share on your social accounts or even on their own platforms. This video series from DC Comics features interviews with people who are popular with the company’s audience. You can also have influencers actually take over your account for a day to offer a behind the scenes view of their lives or a specific event. You can also host events or just share updates from events you’re attending for your business using social media. PetSmart uses Facebook Live to broadcast from various adoption and other charitable events. Another idea for a social media contest, have followers submit photos or ideas for consideration. But instead of just choosing a winner yourself, have your other followers vote on the best entrants. Eggo has done this in the past by having people submit their favorite waffle recipes and then letting followers pick their favorites. Instagram made use of this campaign back when it redesigned its logo, encouraging users to make their own versions in various mediums. You could try a similar promotion on Instagram or any other platform with photo capabilities. Your brand likely has its own account on many social media platforms. But you can explore a different angle by letting your company’s mascot or logo have its own account. This is popular with sports teams. But even Allstate’s “Mayhem” has its own Facebook page. One of the most popular examples of this is the Ice Bucket Challenge from the ALS Association. The idea was that people would film themselves having buckets of ice dumped on their heads, then challenge their friends to do the same, all while spreading awareness about ALS. Challenges like this can increase the chances of your campaign going viral. Another type of online challenge, you can create a sort of online scavenger hunt to have customers post specific types of photos on a social site like Facebook or Instagram, or even on a Pinterest board. Online retailer Modcloth did this with its Something Modcloth, Something You campaign. Or you could give your customers the opportunity to appear in one of your ads or promotions with an online casting call. One example of this type of campaign is #CastMeMarc from Marc Jacobs, where followers could submit photos and applications on social media. Platforms like Facebook and Instagram allow you to tag your location in specific posts. So if you have a physical store or are present at a particular event, you could have customers check by creating a post at that location and then choosing a winner from those recent posts.